The majority of the stores in Corolla are locally-owned and operated, so the treasures you find there won’t be found anywhere else. When you are ready for a break from the beach, spend a late afternoon strolling from store to store at one of the many, charming boutiques. From large grocery stores to quaint shops, Corolla can satisfy all of your shopping needs. Browse our list of favorites and look for the Twiddy Preferred badge for some insider recommendations from our team! What kind of shopping are you looking for? A premium meat and seafood market that doubles as a deli serving up delicious sandwiches and even wine and craft beer, The Butcher Block brings quality, freshness and excellent customer service to every table. Selling over 18 flavors of handmade gourmet popcorn, made in-store daily. Enjoy a munch on the beach or take home the perfect souvenir. Bacchus Wine and Cheese has been serving residents and visitors to Corolla for 24 years. Enhance your visit to the Outer Banks with a great selection of fine wines, gourmet foods, imported cheeses, Angus Steaks, sinful desserts, and their famous sandwiches. Your full-service independent bookstore for all of the Outer Banks. Located in Scarborough Faire Shopping Village in Duck, Historic Corolla Village, and centrally located in Kitty Hawk, Island Bookstore is conveniently situated near all of our Twiddy vacation rentals. Specializing in women's and men's beach fashion, Birthday Suits has one of the largest selection of swimwear on the Outer Banks and has been happy to serve locals and visitors alike for more than 30 years! A local business that's been around for more than 30 years, the Farmer's Daughter has a wide selection of clothing, jewelry, and accessories, as well as crafts, home and garden items, seasonal decorations and more. They also have a great selection of beach wear. Over 60 eclectic retail shops, restaurants and quaint eateries. Shop, eat and relax in the shade of the oak trees at TimBuck II in Corolla. In addition to the delicious restaurants found at Monterey Plaza in Corolla, shoppers can find stores featuring handmade crafts, fine wines, groceries, fishing gear, beach apparel and more! 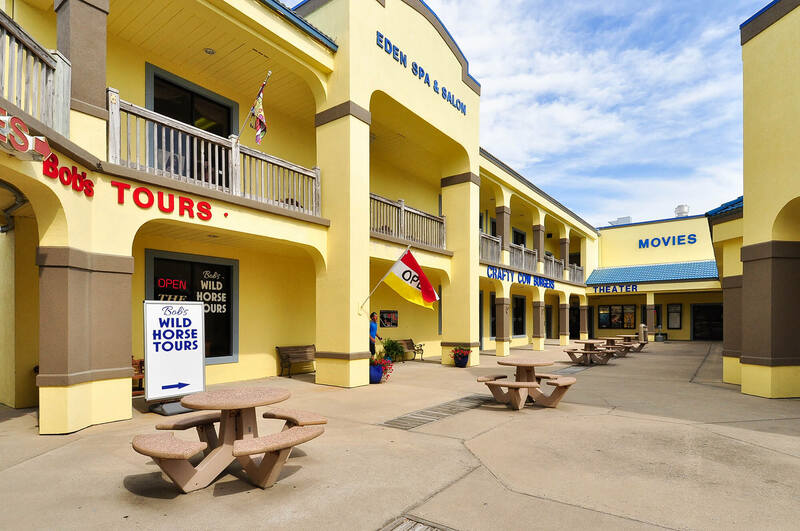 A one-stop shop for just about anything you're looking for during your Outer Banks vacation. 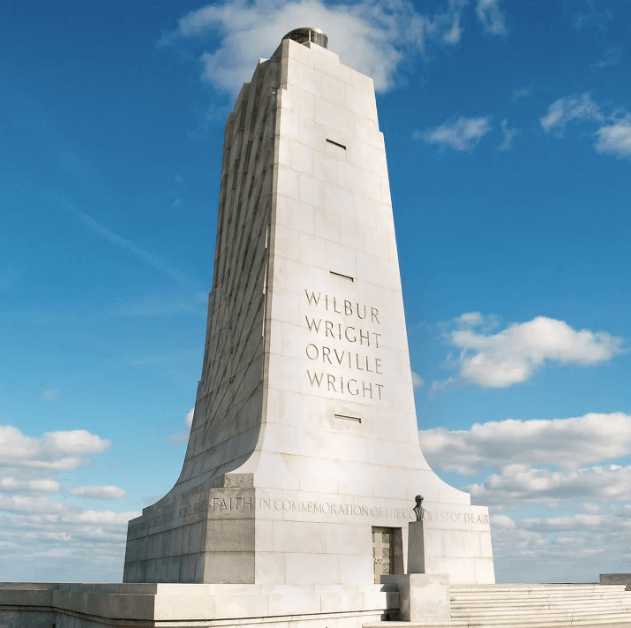 Complete with 30 businesses, including shops, dining and even adventure tours, Corolla Light Town Center is an excellent destination if you're in search of interesting, unique places during your Corolla vacation. Fresh seafood from our local waters to your table! Fresh fish, scallops, mussels, clams, oysters and more. Call ahead for steamed crabs, shrimp and lobster- made to order! Located in the Ocean Club Centre at the south entrance of The Currituck Club. Where the land meets the sea! For over 100 years the Grandy family has been growing the finest quality produce on the shores of the Currituck Sound. Enjoy the freshest produce, bakery and local seafood at Seaside Farm Market. Open 8 am - 8 pm, 7 days a week from Memorial Day to September 10th. The one-and-only Brew Thru, the Outer Banks' original drive thru convenience store, offering refreshing cold beverages and their famous t-shirts right to your window. You don't even have to get out of your vehicle! The quintessential beach store for vacationers. Wings has multiple locations all over the Outer Banks, featuring everything "beach-related" you can think of. From beach towels and bathing suits, to souvenirs, t-shirts and boogie boards, Wings is an inexpensive shopping destination to load up on everything the out-of-town family might need for a day at the beach. A shopping tradition on the Outer Banks since 1948, Gray's has 5 convenient locations to provide Outer Banks vacationers with fine apparel, headwear, gifts, clothing for kids, gifts, beach essentials and more. Family-owned and operated, Soundfeet Shoes has been an Outer Banks full-service shoe store since 1987. Corolla is a shopper’s dream! Teeming with major shopping complexes that each house numerous shops, boutiques, restaurants and markets, Corolla is a great place to come off the beach and spend a late afternoon strolling pleasantly from store to store. Or if you know exactly what you’re looking for, Corolla also features big-name grocery stores to get what you need and get you back to enjoying your vacation. Once you’ve shopped in Corolla, explore all the sweet shopping spots that the other towns in the OBX has to offer.